Fresh off his victory at March’s Spring Grand Sumo Tournament, yokozuna Kakuryu will head into May’s summer tourney atop the latest rankings, the Japan Sumo Association announced Monday. After an injury-plagued 2017, the 32-year-old Mongolian has put together two solid tournaments this year despite dealing with a right-hand injury. Kakuyru has never won more than nine bouts in each of the tournaments immediately following his previous three championships, and winning a fifth at the 15-day slugfest at Tokyo’s Ryogoku Kokugikan starting on May 13 should be more difficult still. 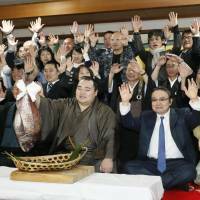 Hakuho, whose 40 makuuchi division championships are the most in history, and fellow yokozuna Kisenosato are expected to rejoin the fray after both sat out the March tourney with injuries. 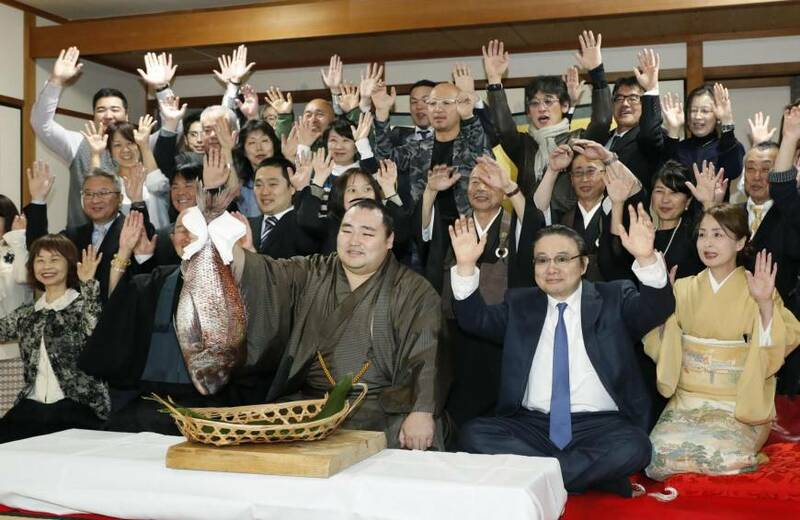 Hakuko was out with a toe injury, while Kisenosato has been hampered by injuries he suffered to his left pectoral muscle and arm during last year’s Spring Grand Sumo Tournament. Kisenosato has not finished a tournament since then, and no basho has ended with every yokozuna still competing on the final day since November 2016. The ozeki ranks are manned by Takayasu and Goeido, with Takayasu in the more prestigious east slot after back-to-back 12-3 records in January and March. Tochinoshin, the January champion, mans the east sekiwake slot. On the west, mountainous Mongolian Ichinojo is back at sekiwake for the first time since July 2015 after going 9-6 as a komusubi in March. After a long run as sekikwake, Mitakeumi will wrestle as the east komusubi in May after a 7-8 March record. He will be joined on the west side by popular wrestler Endo, who will compete in the sanyaku ranks — the three ranks below yokozuna — for the first time. One wrestler, Kyokutaisei, will make his first appearance in the elite makuuchi division after going 8-7 as a No. 1 juryo-division wrestler in March. Three other wrestlers will be returning to the upper division, Sadanoumi, Takekaze and popular veteran Aminishiki. At 39 years, six months, Aminishiki rewrote his own record as the oldest wrestler to earn re-admission to the makuuchi division.